Grey Flower 2014. A Sold Painting by Jason Oliva. Grey Flower. 2014. Acrylic on Canvas. 48″ x 48″. Before Grey Flower I had made several paintings that used flowers as subject matter – Rose, Lotus, Japanese Magnolia, to name a few. 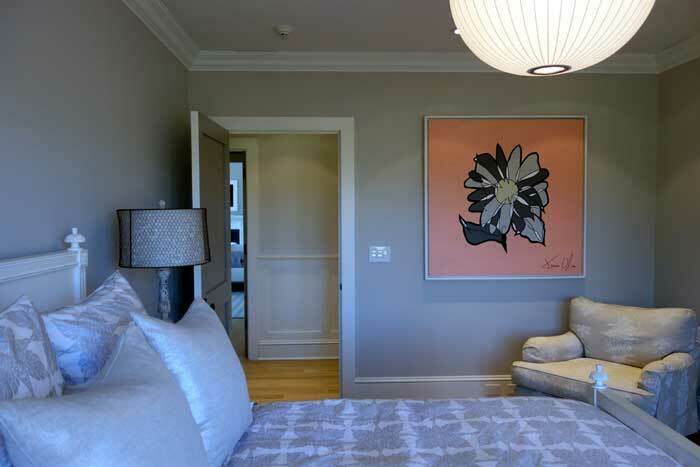 But Grey Flower was the first of its kind where I used a predominantly grey palette. Perhaps I had been influenced by an earlier portrait commission I had painted of a racehorse and the fact that I was offering an increasing amount of my works on paper as grey variations. 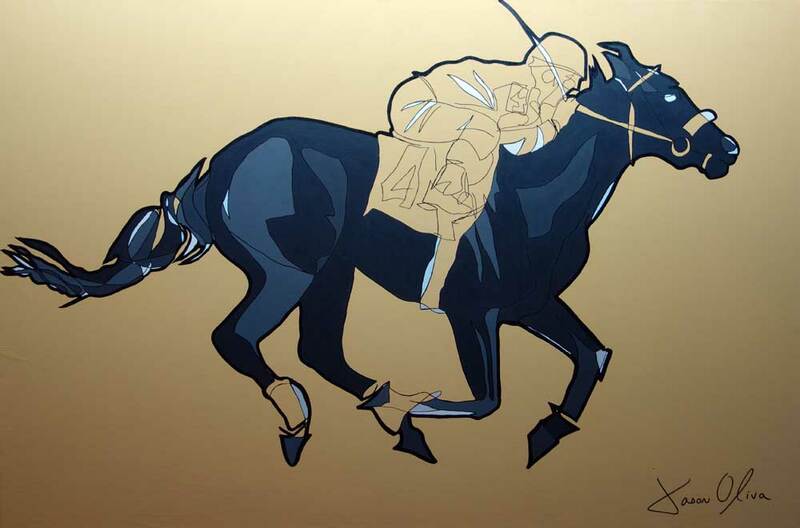 Racehorse Commission ‘Promise Me A Cat’. 2013. Acrylic on Canvas. I think I am interested in the neutrality of grey and its ability to almost bring an image forward into clear focus. It also works especially well on a colored background. Everyone likes to escape the city now and then, especially in the summer, and one of those places that New Yorkers flee to is the Hamptons. Many of our collectors rent a place out there each year or have bought a place. And a new home often means bare walls! As a result, quite a few of my paintings have now made that journey eastwards and its been wonderful for us to see them hanging in these types of settings. Thanks to all our Hamptons collectors, you know who you are! Grey Flower sold earlier this year and works a treat in the bedroom above. Grey Flower. Small Work on Paper. Edition of 100. 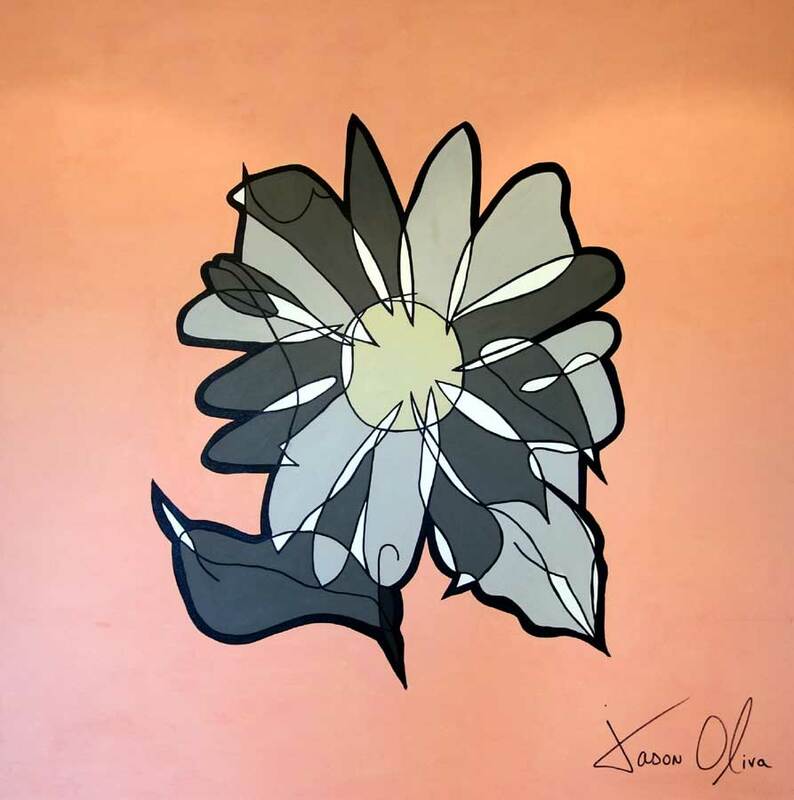 Grey Flower has been made into a work on paper and is available in small, medium and large. To view this listing and to find out more, please visit our Online Etsy Store.. To see more of the Jason Oliva Works on Paper Collection or any of my other works you can visit me in my Tribeca Studio.